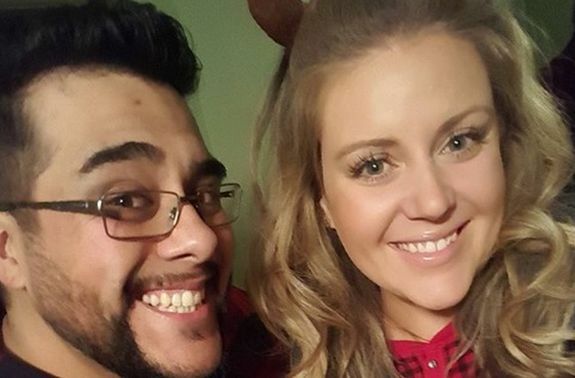 They may have met on The Biggest Loser but Jessica Limpert and Ramon Medeiros ended up winning in love. The couple, who met when they both starred on Season 12 (“Battle of the Ages”) in 2011, got married on Saturday after six years together. The ceremony took place at Heinz Memorial Chapel in Pittsburgh, Pennsylvania. Jessica posted a few photos from before and after the ceremony and reception. The couple has been engaged since February 2017. Ramon had also gained back most of the weight he had lost on ‘Loser.’ The couple decided to go on The Big Fat Truth in 2016, which helped them learn to deal with their emotional ties to food, as well as the physical aspects of weight loss. Jessica and Ramon are not the only couple from ‘The Biggest Loser’ to find love. Season 8’s Rebecca Meyer and Daniel Wright are still married, as are Season 2 winner and runner-up Matt and Suzy Hoover. Antoine Dove is still married to Alexandra Wright, whom he proposed to during the Season 8 finale. Marty Wolff and Amy Hildreth, who met on Season 3, are still married as well. Season 14’s Jeff Nichols and Francy Morillo have been together since their season aired in 2013. That’s actually really cool. I don’t watch the show, but how interesting that so many people have met and fallen in love, and stayed together due to participating! I suppose shared interest, & struggles and goals? Congratulations to them!